AURORA, OH: Video Products Inc introduces the addition of Ethernet over power adapters. The VPI Ethernet over power adapters can use any electrical power outlet to create a secure building-wide high speed network. 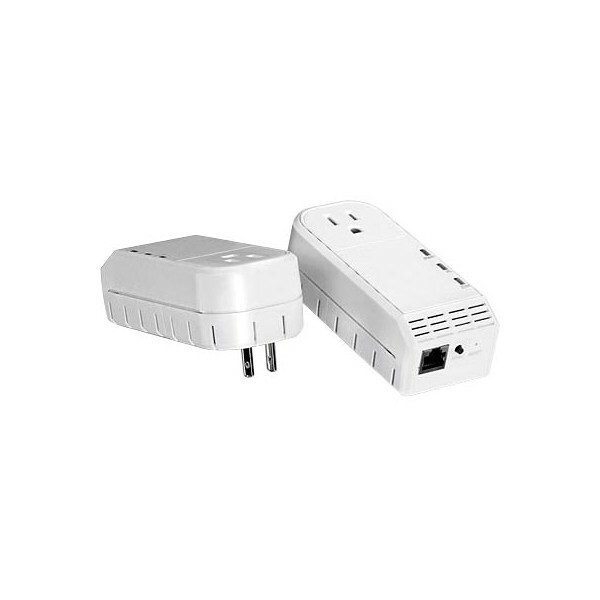 Connect one adapter to your network and plug another adapter into any outlet on your electrical system for instant high speed network access. Buildings or homes that have interference with wireless networking signals are an ideal candidate for this low-cost innovative technology solution. The new VPI Ethernet over powerline adapters can achieve up to gigabit Ethernet for a building-wide network. Create a network to deliver internet, voice and video, using the power outlets on the existing electrical system you already have throughout your building or home. Plug the adapters in and instantly connect a computer, video game console or any network-enabled device to your home network. Use up to 16 adapters to network devices in different rooms. There is no loss of the utilized electrical outlet the device is plugged into with units that have a built-in outlet on the front of the adapter. The advanced electrical noise filter on several units helps to maintain optimum connection speeds. The network signal can transmit up to 984 feet (300 meters) from the originating unit. When the adapters are plugged in they automatically connect to each other. The units offer an advanced 128-bit AES encryption to secure your network and are compatible with these protocols: IEEE 1901, HomePlug® AV, IEEE 802.3, IEEE 802.3x, IEEE 802.3u, IEEE 802.3ab, TDMA, CSMA/CA. The units are compatible with 120 volt and 240 volt electrical systems and have a built-in power saving mode to reduce electrical consumption by 80%. The VPI Ethernet over Powerline Adapters are CE, FCC, and HomePlug® AV compliant. Available for immediate sale, the Ethernet Over Power Adapters cost between $71 and $213 each.